Amini’s is a family owned venture with the nation’s largest selection of ‘made in America’ home décor and outdoor furnishing products. With over 40 years experience in styling homes, Amini’s has built a strong reputation for selling only the best products in home furnishings. Passionate about the little things that add style to your living, we believe that top quality home décor products are the essence of a well-designed home. We believe that the furniture you select, the rugs you use, and the accessories you choose, add to the charm of your home. One simple misfit could impact the harmony of your room! So, we also offer custom design services that allow you to choose from a variety of brands and create a unique design for your home. We have five stores located in the Midwest with over 140,000 square feet of showroom space. We ensure that customer satisfaction is our top priority and product quality is never a compromise! Each of the five locations is managed and operated by family and we take pride in our stores and community. Amini’s was also awarded the ‘2015 Casual Living Retailer of the Year. We welcome you to our online store where you can view our products, request for pricing, or call for more information! After Jennifer graduated from the University of Minnesota with a BS in interior design, she joined the Minneapolis design team. With more than twenty years of comprehensive interior design experience, she transferred to our Chesterfield Design Center in 2012. Jennifer is passionate about interior design. She always considers the existing architecture and scale of the rooms she designs. Her clients appreciate the creative and functional design solutions she offers. She listens and truly understands their needs and desires, and that results in great designs. A good home design professional will hone your style down to its very essence and be able to choose a functional layout that feels natural to you. Interior design companies can be involved as much or as little as the client desires. 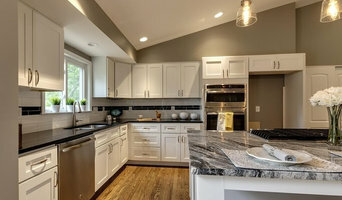 Many clients who hire an interior decorator in Ballwin, MO — particularly those who are remodeling — have a good sense of how the room should look and what products they should use. Often clients will insist that interior decorators use the products already present in the house. Other times a designer will need to start from scratch — especially if this is a newly purchased or just-built home. An interior design company will need to figure out exactly what the client needs, which includes organizing rooms, picking flooring and wall colors, and finding furniture to complement it all. Sometimes that means he or she will have to recruit help from other Ballwin, MO home professionals to help create the perfect look for your renovation. Here are some related professionals and vendors to complement the work of interior designers & decorators: Architects & Building Designers, General Contractors, Home Builders, Design-Build Firms, Photographers. Do your research before meeting with an interior designer or home decorator in Ballwin, MO. Ask yourself what you want your space to become and what it will be used for. Figure out the extent of what you need help with, what your must-haves are and what your budget is. Interior design services can add up fast, so be up front with a potential design firm or individual from the beginning. Also, pick an interior decorator that fits your style. Browse through the portfolios of different Ballwin interior design firms and decide if you would live in those houses. Just because you like something doesn’t mean you could live in it. There's a big difference! 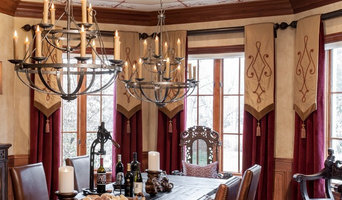 Find an interior designer or home decorator in Ballwin, MO on Houzz. 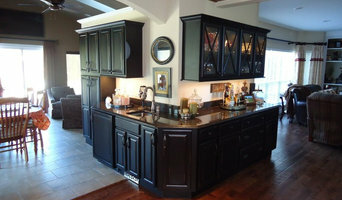 Narrow your search in the Professionals section to find Ballwin interior designers near you. You can also look through Ballwin, MO photos to find a room you like, then contact the design firm who designed it.